1. Paint all of your nails with one coat of Kleancolor Jewelry Red except for the accent nail which you will used one coat of OPI Don't Pretzel My Buttons. 2. Apply another coat of the jewelry red to one nail and then immediately after apply a stripe diagonally across the nail with the OPI cream color. 3. 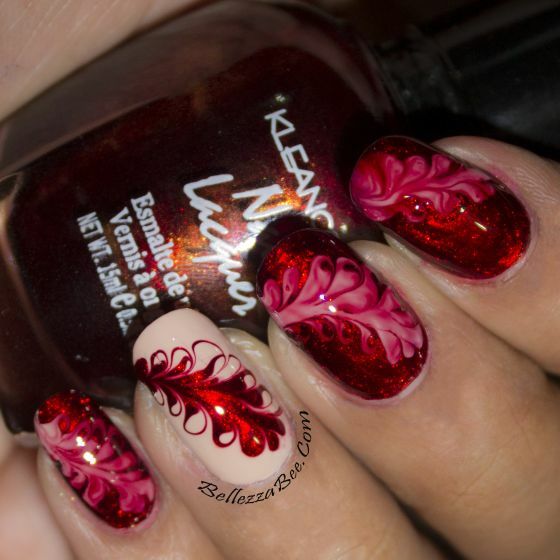 Using a needle or fine pin drag the cream color into the red in a swirly pattern on both sides of your swipe of color. 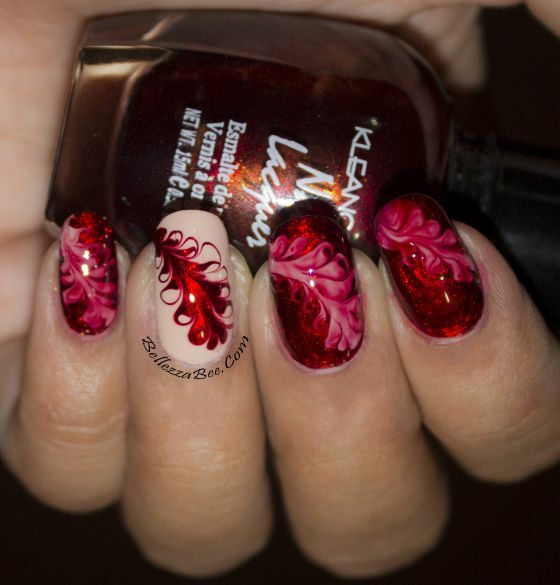 See the video below for a clearer picture of how to create the swirls. 4. Repeat for each nail, one at a time, just using the red for the stripe in the accent nail. 5. Seal in with your favorite top coat. Here's the CuteNails Video Tutorial to try this out yourself!